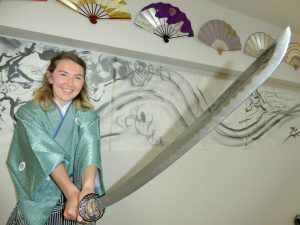 My name is Ryuou Arai and I currently hold the position as the third generation successor of my Japanese traditional arts school which teaches Gin-Ken-Shibu (吟剣詩舞). 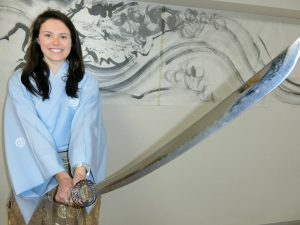 The Gin-Ken-Shibu is an amalgamation of three traditional Japanese arts, namely Gin-ei (traditional song), Ken-bu (sword dance) and Shi-bu (fan dance). The roots of Gin-Ken-Shibu can be traced back to the age of the Samurai, and is an expression of the Samurai spirit through song and dance which is usually performed before the Samurais head out for a big battle. 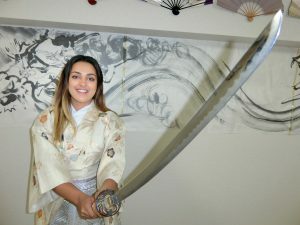 I am holding the samurai experience workshop. 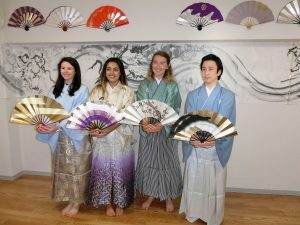 This workshop is targeted at foreign tourists. 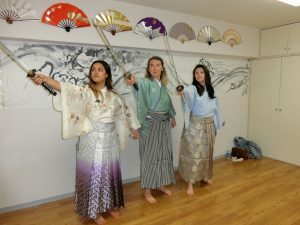 During the workshop, you can experience dressing up in a Kimono that the Samurai wear in ancient times and learn the dance (using a Japanese Katana sword and fan) that they would do before a battle. The workshop will be held in Kichiouji (吉祥寺) in Tokyo, Japan.